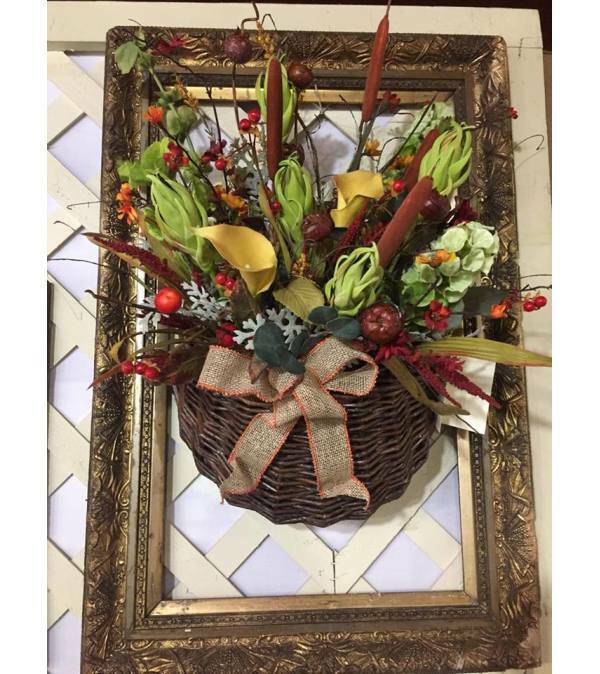 One of a kind fall wall basket with cattails, an apple, yellow calla lilies, a burlap bow, and green pods. No extra charge for Lexington delivery. For out of town/state, shipping charges vary.